The golden crucifix and altar were preserved amongst the smouldering rubble after the roof was destroyed by Monday night's fire. 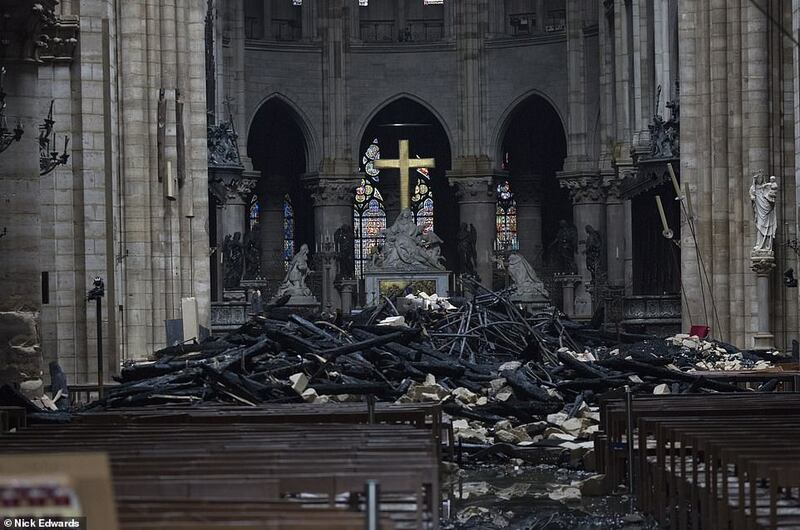 Some of its 200 specialist employees were working at the site where the fire is thought to have originated, the cathedral's 300ft-tall wooden and lead spire, which collapsed in front of crowds of horrified Parisians at 8pm. while it's an incredible and iconic landmark...think about how much water must've been used by firefighters. water that could've gone to people who don't have any. yeah, but if they didn't put down this fire it could've easily moved to the buildings around the cathedral making a lot of people homeless. were they supposed to just let it burn? He always reacts like this to every issue. Maybe it's in good faith but it's so ham-handed that it gets him tons of backlash. Literally always a bull in a china shop. Well if it's in good faith and doesn't hurt anyone, I can't hate him for it. Maybe it's just not the smartest thing to tweet when he's president of the USA. This would be a valid argument if Paris had a water shortage, but it doesn't. I get the intention though. It's unfortunate to see how us humans casually waste water. 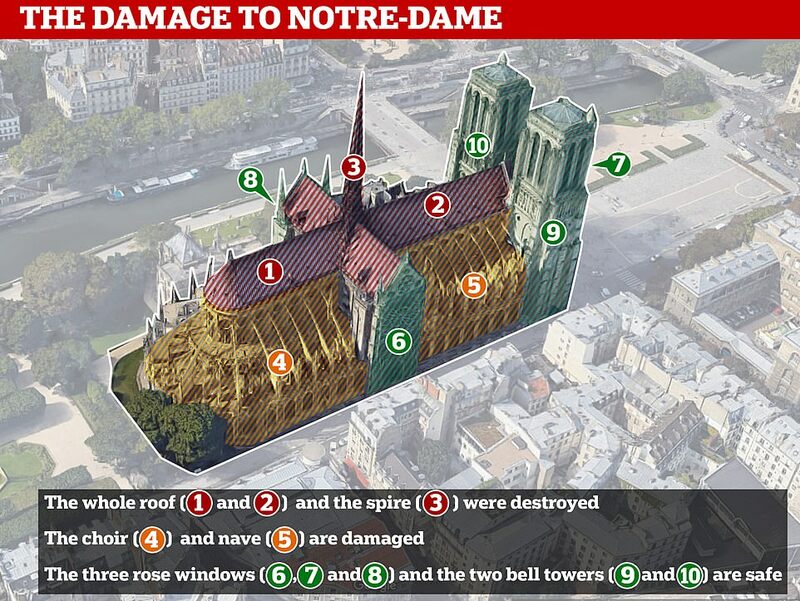 But the Notre Dame is one of the most beautiful buildings in the entire world and a testament to human creativity and ingenuity, so not one drop was wasted in vain if it was used to combat the fire on the roof. They would have had to put it out to contain it, not just to save the building. It could spread to other buildings and grow into a huge blaze like the great fire of London.